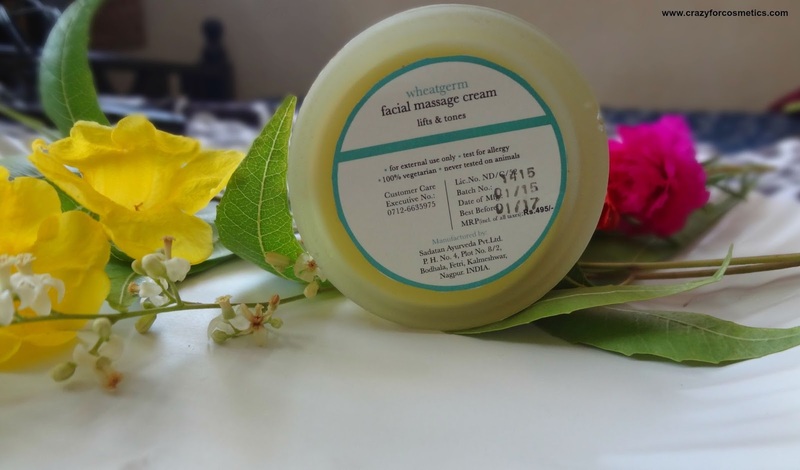 With wheatgerm, lavender, sweet orange and sesame oil,IrayaWheatgerm Facial Massage Cream is ideal for the perfect nutrient rich face massage. Regular use helps reinforce skin cells, minimise fine lines and increase blood circulation thereby enhancing the skin?s vitality and suppleness. Directions for use: Gently massage onto the face and neck, with fingertips in upward stokes. Best to use after cleansing and toning. Regular facial massage gives a bright glowing complexion. Ingredients : Citrus Grandis, Sesamum Indicum, Triticum Vulgare, Glycerol Fatty Acid Ester, Vegetable Glycerine, Essential Oils Of : Lavender, Phenoxyethanol, Sesame Stearic Acid, Sweet Orange, Petitgrain. 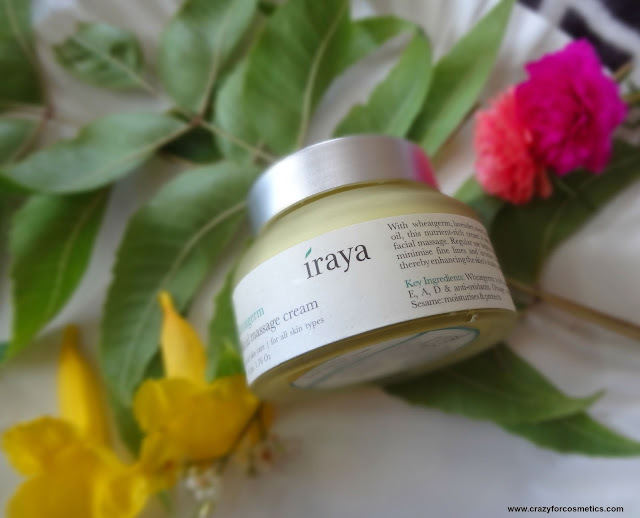 The Iraya cream comes in a bulky glass jar with a firm lid. The cream is visible through the jar and lets us know how much is left. The packaging is quite heavy but I somehow feel the packaging is attractive. 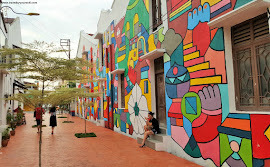 The cream is in lime yellow color which is very attractive to the eyes and it smells purely of natural products. The consistency is just great - it is so soft , smooth and it blends into the skin like whipped cream.Though it has a lot of oils as its major ingredients it does not feel greasy when applied. I just love how it transforms my skin once applied and makes it smooth. 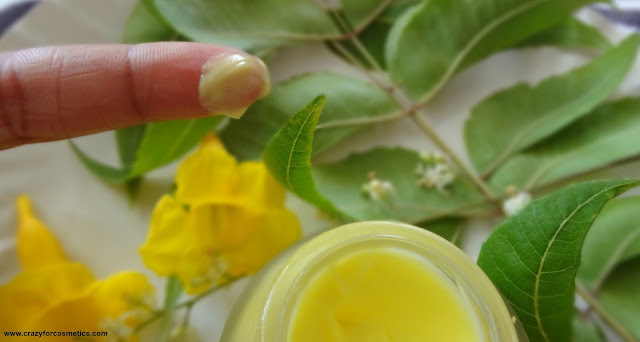 It gets absorbed in about 2 to 3 minutes completely into my skin.I prefer to use it as a night cream for the reason being the fragrance which kind of soothes me and I sleep well. It contains various oils that work on my skin at night and in the morning, my skin feels fresh and healthy. I find that my skin becomes more soft and supple when I wake up in the mornings. It feels very nourished as though I have had a facial earlier. 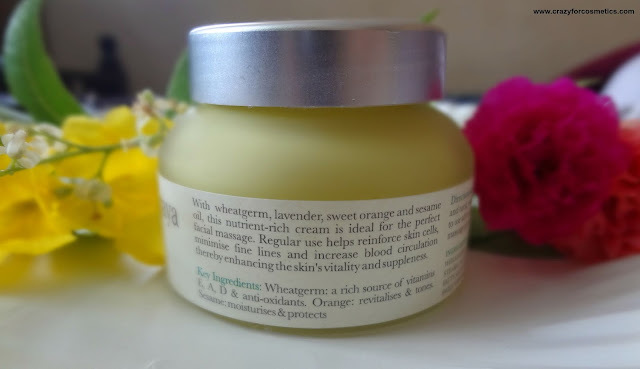 My skin dryness has become better after I started using Iraya Wheatgerm Cream. I will purchase this for sure again. My fine lines next to my eye area have considerably reduced. 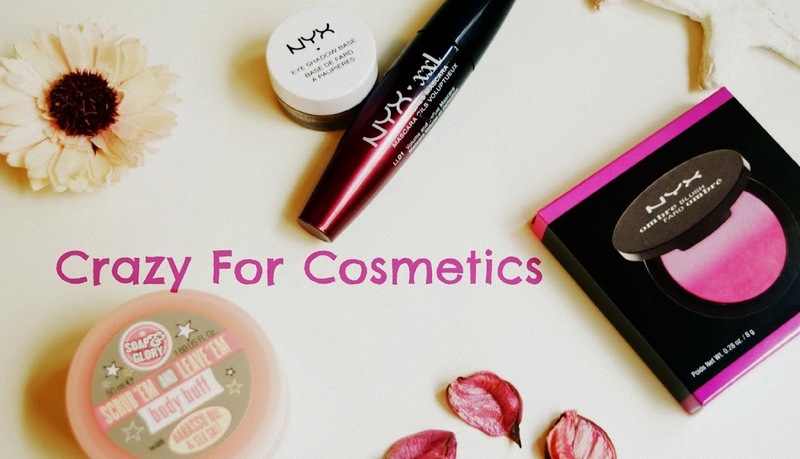 Online sites like Flipkart,Jabong, Nykaa from here . 1 : All natural and no chemical. 3 : Reduces fine lines next to eyes. 4 : Works as a good night cream for me. 5 : No breakouts caused. 1 : Little on the expensive side.